Astronomers have captured the first detailed images of the surface and atmosphere of a star outside the solar system, a report said. 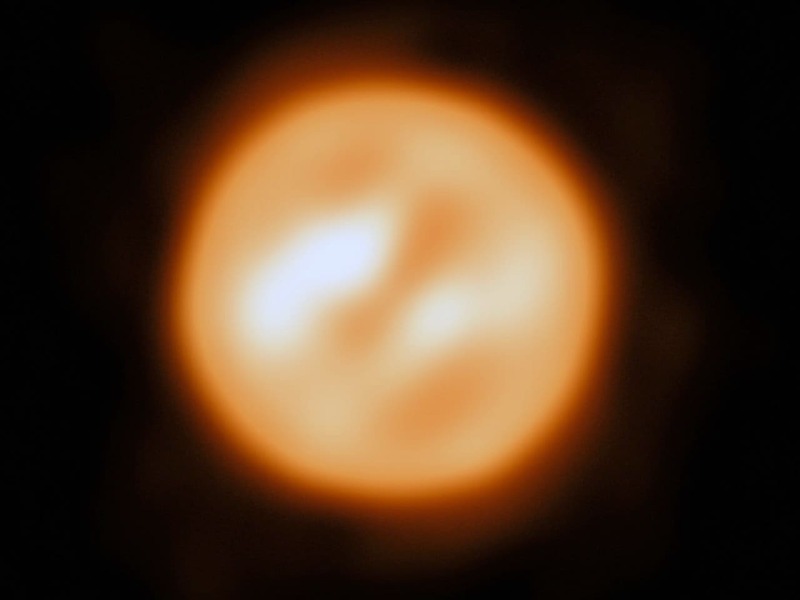 Images of Antares, a red supergiant, more than 500 light-years from Earth in the constellation Scorpio, have been captured, reported Nature magazine. The team obtained the images using the European Southern Observatory's Very Large Telescope, a complex of four telescopes perched on a mountain in the Paranal desert of Chile, Efe news said. The star makes an interesting object for study because it is rapidly losing mass in the course of an outward expansion that will lead eventually to a supernova. "How stars like Antares lose mass so quickly in the final phase of their evolution has been a problem for over half a century," the paper's lead author, Keiichi Ohnaka of Chile's Universidad Catolica del Norte, said. The images allowed the team to detect unexpected turbulence in the outer atmosphere of Antares, activity that could not be explained by any known processes. "The next challenge is to identify what's driving the turbulent motions," Ohnaka said.